We recently secured a much-coveted place in nationwide initiative, 'Bagno's Race to Dubai', created by luxury bathroom specialist, Bagno Design. 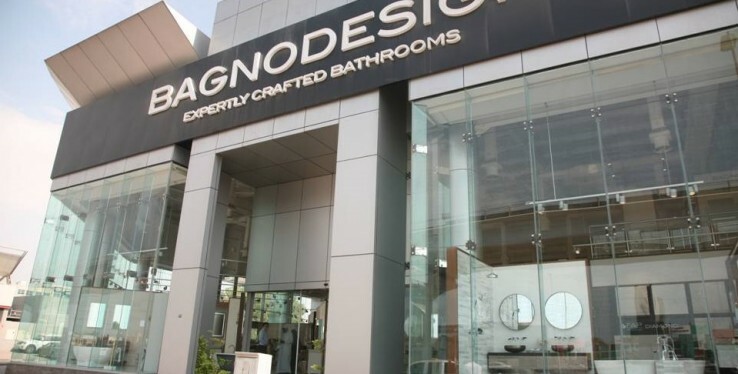 The campaign saw several UK retailers compete to secure the highest volume of sales of Bagno Design's premium bathroom suites and sanitary ware, in a bid to win a trip to Dubai, to experience Bagno Design's magnificent showroom, meet the team and get a glimpse at the brand's latest exclusive products. Co-director of Real Stone & Tile, Leigh Price said, "Here at Real Stone & Tile we provide our customers with the highest quality products, expert knowledge and fantastic customer service, and that's why we offer Bagno Design's range of products, because we know they are beautifully crafted pieces that stand the test of time. "We were delighted to find out that we had been successful and invited to Dubai by the Bagno Design team. It was great to experience how they present their products in a showroom environment and the meticulous attention to detail with their testing and quality control procedures to maintain their status as high end provider."